2.2.2019 jircu inserted filming location Navarra of the Episode And Certainly Not the Cripple of the Series Knightfall. 30.8.2018 Steev inserted real photo of the filming location Marcel de Caux shoots from a crossbow. of the Episode The Black Wolf and the White Wolf of the Series Knightfall. 13.4.2018 Editor approved the filming location The Hall of the Episode Fiat! of the Series Knightfall. 13.4.2018 Editor approved the filming location Meet the Pope of the Episode Fiat! of the Series Knightfall. 13.4.2018 Editor approved the Episode Fiat! of the Series Knightfall. 13.4.2018 Editor approved the Episode IV. of the Series Knightfall. 13.4.2018 Editor approved the filming location View of the castle of the Episode IV. of the Series Knightfall. 13.4.2018 Editor approved the filming location Mother warns her son of the Episode And Certainly Not the Cripple of the Series Knightfall. 13.4.2018 Editor approved the filming location The Castle of the Episode And Certainly Not the Cripple of the Series Knightfall. 13.4.2018 Editor approved the Episode And Certainly Not the Cripple of the Series Knightfall. 13.4.2018 Editor approved the filming location Chapel of the Episode And Certainly Not the Cripple of the Series Knightfall. 13.4.2018 Editor approved the filming location Marcel de Caux shoots from a crossbow. of the Episode The Black Wolf and the White Wolf of the Series Knightfall. 13.4.2018 Editor approved the filming location Landry in destroyed palace of the Episode The Black Wolf and the White Wolf of the Series Knightfall. 13.4.2018 Editor approved the filming location Passing the river of the Episode The Black Wolf and the White Wolf of the Series Knightfall. 13.4.2018 Editor approved the Episode The Black Wolf and the White Wolf of the Series Knightfall. 13.4.2018 Editor approved the filming location Marcel de Caux's Castle of the Episode The Black Wolf and the White Wolf of the Series Knightfall. 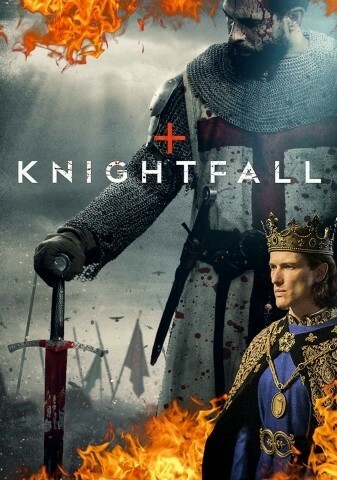 13.4.2018 Editor approved the TV Series Knightfall. 12.4.2018 Maverick inserted filming location The Hall of the Episode Fiat! of the Series Knightfall. 12.4.2018 Maverick inserted filming location Meet the Pope of the Episode Fiat! of the Series Knightfall.